Our relationship with Madrid has been a rocky one. After falling in love with Barcelona, we had high hopes for the Spanish Capital and intended to establish a new life there. 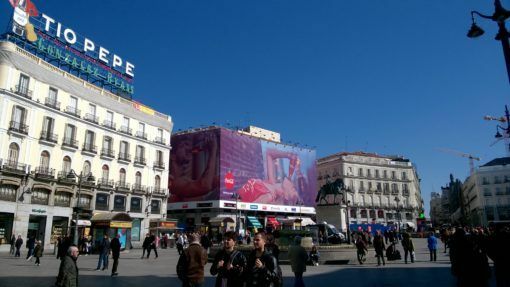 Unfortunately, these aspirations crumbled and we ended up spending one of the darkest periods of our travels in Madrid. 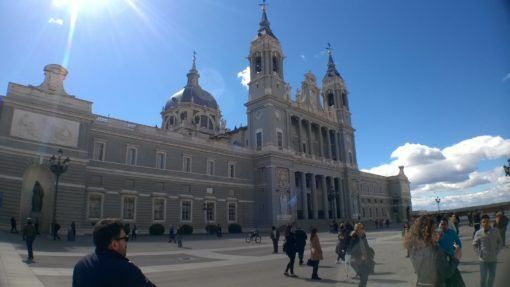 However, since moving away to Toledo we’ve managed to get some perspective and see the city with new eyes – here’s are our highs and lows of visiting Madrid. 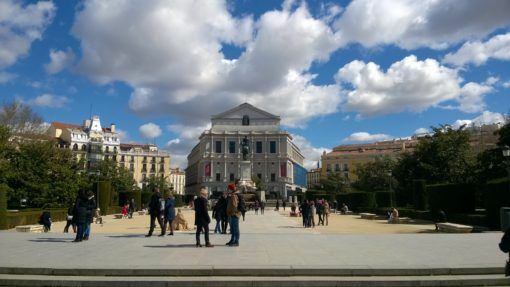 On paper, Madrid looked like the perfect place for us to settle down; it’s just a two-hour flight from the UK and there are tonnes of English teaching jobs available there. The city has all the trappings of a major metropolis; shops and bars, vegetarian restaurants, cinemas and theatres, parks, plazas and historical landmarks. 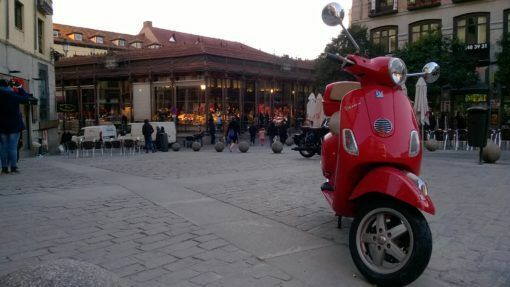 After our positive experience in Barcelona where all of our time was spent sightseeing and wandering around the gothic quarter, we thought we’d fall equally in love with Madrid – but we didn’t. 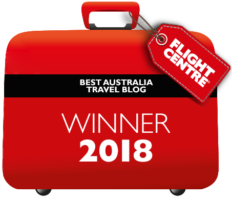 Aside from the fruitless search for an affordable apartment in Madrid and our own internal struggles which I’ve written about more than enough already, we just didn’t click with the city. In between going to interviews, apartment viewings and frustrating appointments at government offices, we made an effort to get out and enjoy Madrid. 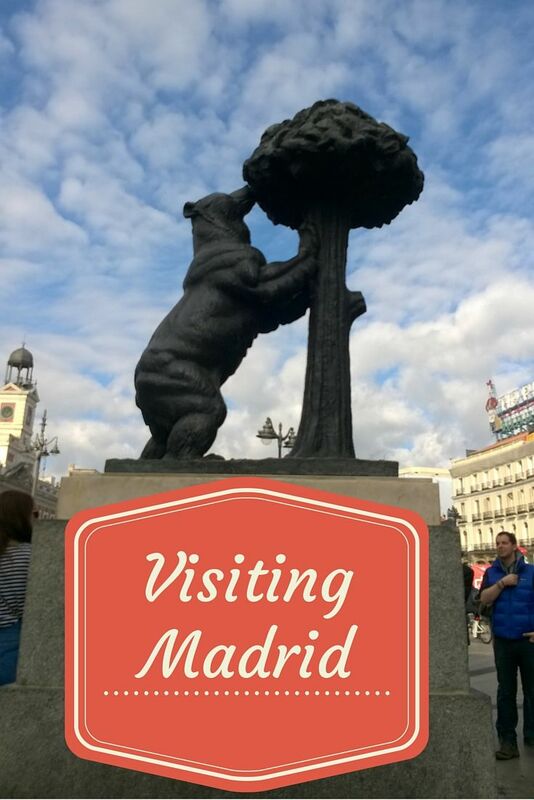 We visited some vegetarian restaurants, saw the sights, went to the weekly flea market and strolled around Retiro Park. Although we could see the appeal of the city, we just weren’t feeling it. 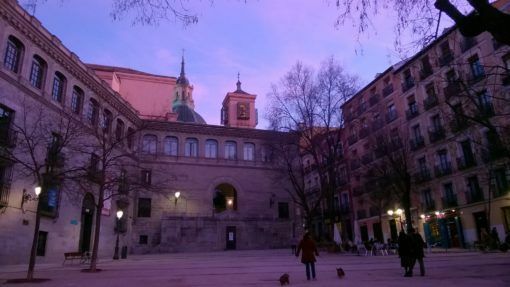 I’m sure that our turbulent personal situation poisoned our first views of Madrid somewhat, so after flying back to the UK at Easter to regroup and then moving into a temporary apartment in Toledo, I was determined to give the city another go. 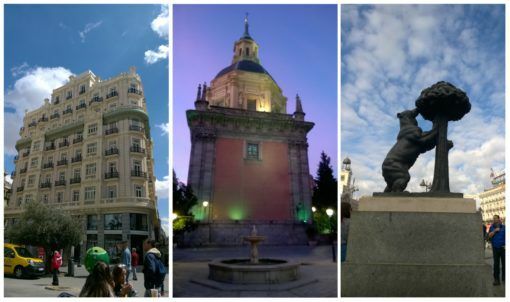 Madrid is just a 45-minute bus journey from our current home in the historical city of Toledo, so in between working at English immersion camps we’ve been able to take day trips into the city to visit Madrid with fresh eyes. 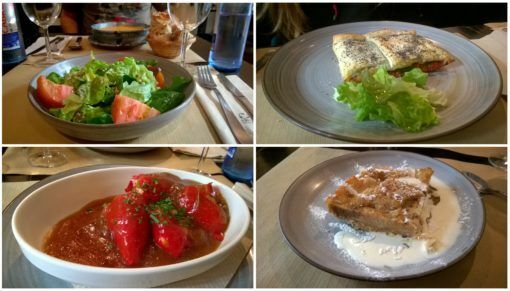 Our favourite place to hang out in Madrid is La Latina, one of the oldest parts of the city. I love the medieval narrow streets, the leafy plazas and cathedrals; it’s also jam-packed with bars, cafes and restaurants. 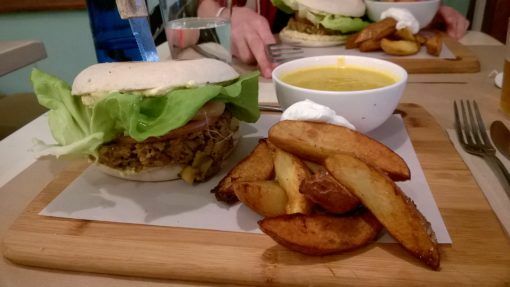 We like to stop in La Latina for some beer and tapas or visit one of our favourite vegetarian restaurants in Madrid, Viva Burger. 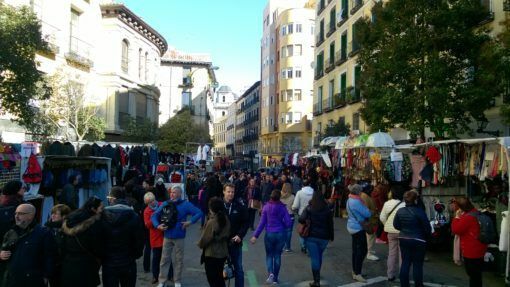 Visiting the flea market (El Rastro) is often touted as one of the top things to do in Madrid. Every Sunday the market takes over the centre of the city, sprawling out from Plaza Mayor to surrounding streets. With stalls piled high with everything from clothes to souvenirs, trinkets, paintings, antiques, stamp collections, music and DVDs, jewellery, household goods and gadgets, El Rastro reminds me a bit of Portabello market in London. Arrive early to avoid the crowds which can swell uncomfortably later on and make it impossible to get a look at any of the stalls. One of the more unusual Madrid attractions is a genuine Egyptian temple dating back to the 2nd Century BC. So, what’s the Temple of Debod doing in a leafy park in Spain’s capital city? 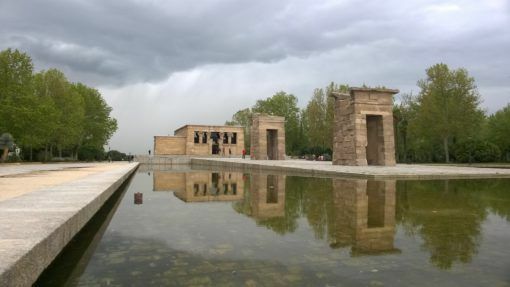 Egypt donated Debod to Spain in 1968 as thanks for their help preserving some of Egypt’s historical monuments; the temple was dismantled and rebuilt in the Parque del Oeste in Madrid. There’s a very small free museum inside the temple where you can see some original Egyptian carvings. There are plenty of Madrid sightseeing tours, but as usual we decided to explore by ourselves on foot. Unlike Barcelona, which is stuffed full of cathedrals, modernist architecture, museums and sights, it feels like Madrid is lacking in tourist attractions. In fact, I’ve read that Madrid is more of a ‘living city’ than a sightseeing one and I’d agree with that assessment. 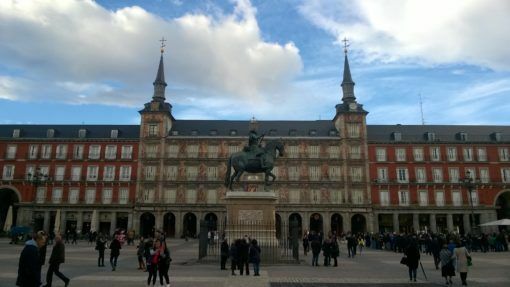 Many of Madrid’s most famous sights are situated close together; we started from the two main plazas, Puerta del Sol and Plaza Mayor and headed outwards on foot to Retiro Park and the Royal Palace. If you want to visit the palace for free, go on Monday to Thursday after 4pm between October and March or after 6pm between April and September. 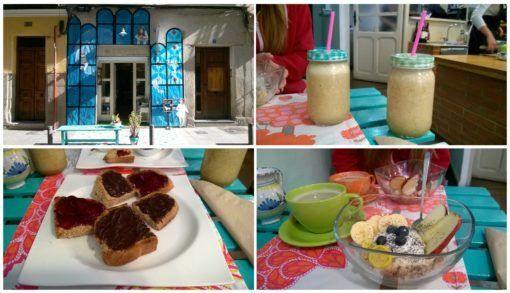 We love the brunch at this vegan restaurant where you can fill up on a platter of muesli, yoghurt, fruit, toast, jam, smoothie and tea for €11. We’ve also had a tasty lunchtime set menu there for €14. You can find Rayen Vegano at Calle Lope de Vega 7, near the Anton Martin metro stop. 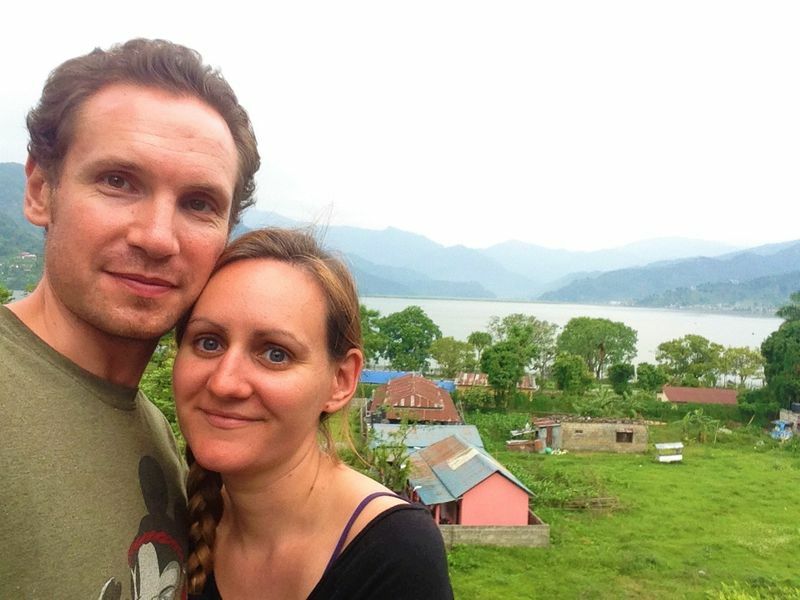 Another awesome vegan restaurant in one of our favourite spots, La Latina. The burgers are huge and you can get a very filling set lunch of a salad or soup, burger and wedges plus dessert or coffee for just €11.50. Viva Burger is located at Costanilla de San Andres 16, the closest metro stop is La Latina. Serves huge portions of hummus served with warm pita bread, I couldn’t finish all of mine and took it home for later. You can get different flavours (I tried lemon, Andrew had tahini) as well as veggie tapas, teas and homemade lemonade. 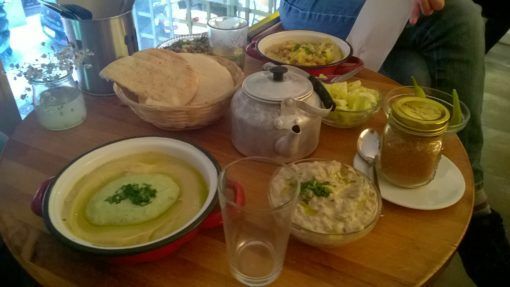 For €10 you can get a dish of hummus and bread, drink and salad. You can find the Hummuseria at Calle Hernan Cortes 8, near Chueca metro stop. We’ve been here a couple of times for a no-nonsense vegetarian set menu costing just €11 for a starter, main, dessert, drink and bread. 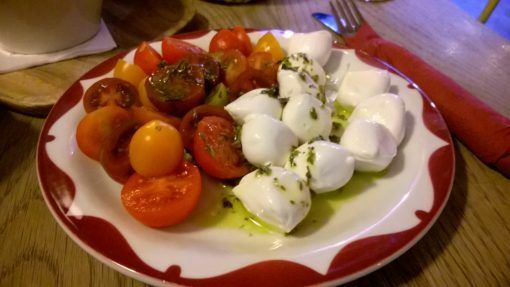 The salads and pasta dishes here are decent and the restaurant is very close to the centre of Madrid, you can find it at Calle Santiago 9, near Opera metro station. We love popping into this cute bar/café for a drink and some tapas; cheese and tomatoes, chips and guacamole or cakes. Delic is in La Latina, as a bonus it’s right next door to Viva Burger at Costanilla de San Andres 14. We love to treat ourselves to some hot strips of dough accompanied by a cup of thick dipping chocolate, for just €4. 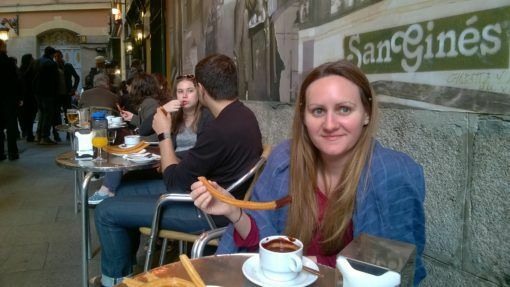 Churros is a popular breakfast dish in Spain but we usually eat it as a snack or dessert from Chocolateria San Gines, which can be found near Sol metro station, at Pasadizo de San Gines 5. Valor also do great churros and delicious chocolate desserts. Have you been to Madrid, what did you think of it? Do you have any recommendations of things to do or places to eat in Madrid? I have been to Madrid lomg time ago, but don’t really remember much about it. Sounds like you did make peace with the city second time round. The food pictures look very yummy …churros and chocolate it’s a great combination. When we were in Madrid in 2012, we did a segway tour that took in the temple Debod. It was very unexpected but so interesting to see. Unfortunately I don’t remember which company it was with. We liked San Miguel market for food – lots of little shops and some excellent desserts. We went to the Prado museum quite late in the day which was a good idea – it was free and there were far fewer people. I particularly enjoyed the Valasquez paintings there – we’d seen a good documentary on his work before we went which really enhanced the experience. We stayed at Artistic B&B which I highly recommend, great location, good smallish rooms and lovely hosts. I didn’t have too many expectations of Madrid before we went and I was pleasantly surprised at how much I enjoyed it. Of course I wasn’t trying to get work or find an apartment but as a city to visit as a tourist, I found plenty to do and see (and eat). I’m really glad you gave it a second go Amy, and found it a bit more loveable. Hi Mel, thanks for sharing your experiences in Madrid, I’m glad you had a good time. As you mentioned, I think we did have a lot of expectations for the city and we were pinning all of our hopes on it, which probably wasn’t a good idea but you live, you learn 🙂 We’re happy we had some good times in the city before we left though.